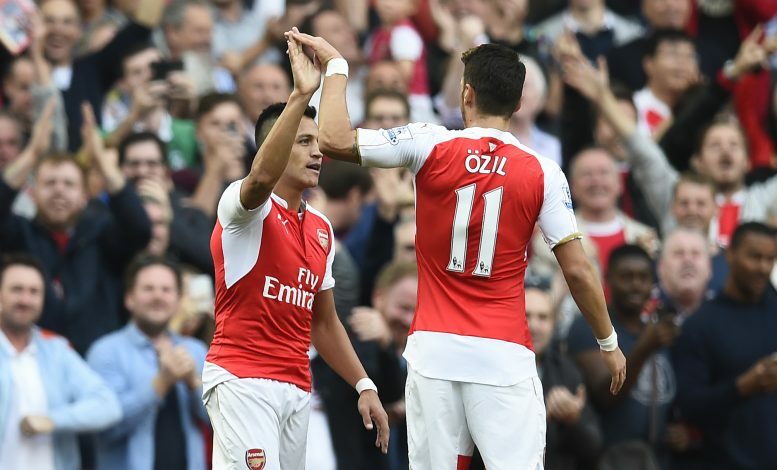 Arsenal manager Arsene Wenger has revealed that there is no guarantee that star players Mesut Ozil and Alexis Sanchez would stay beyond the end of their current contracts. Ozil and Sanchez have been at the centre of the good form being shown by the Gunners that has them currently at second place on the Premier League table. Gunner fans recognise the importance of having both the players renew their contracts, and are waiting to hear some good news on that front. However, Wenger has refused to give any guarantees, according to Telegraph. “Eighteen months is a long time in football,” Wenger has been quoted as saying. “I can’t give any assurances. But they have 18 months and are completely committed. For most fans, this would be a sense of deja vu, considering club captain Robin van Persie was in a similar situation, and Arsenal ended up selling him to their arch-rivals Manchester United when he refused to sign an extension. While that may have been good business sense, it did not go down well with the fans, especially as Van Persie helped United win the Premier League title that season. However, Wenger has suggested that that would not be the case this time, and that even if the players did not sign extensions, they would play for the remainder of their contracts and not be sold.